The night was still young so am I. I strolled the city tonight..the city , bedecked in her fineries. The air was thick with excitement for the events waiting to unfold the next day. The “Pandals” excited many ‘oohs! ‘ and ‘ahs!’ The snaking lights shimmered to form patterns. The vendors shouted to draw attention to their wares. 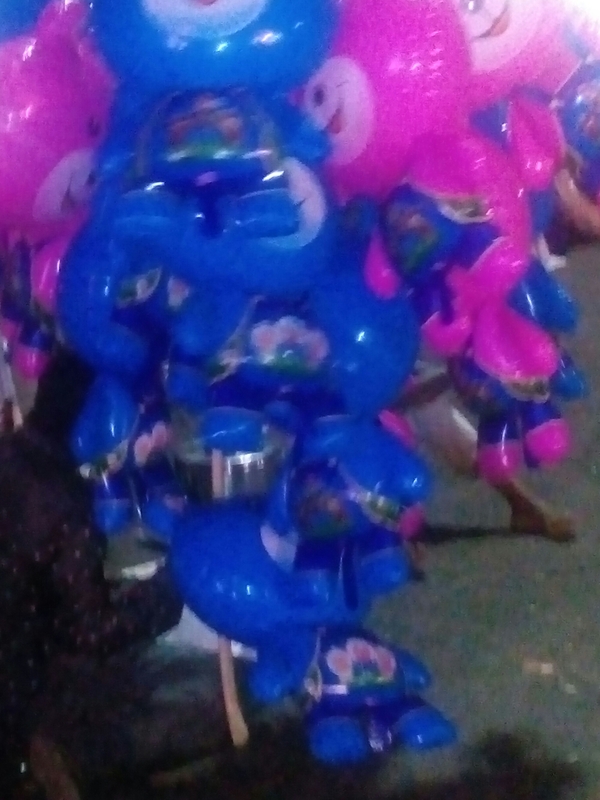 Teddy bear shaped balloons, fibre lights, toys that lighted up when thrown up… sigh! These all reminded me of my childhood…. When thinking back, kids of today have more means to play with . They are more advanced . This elicited a tinge of jealousy as I witnessed kids getting new toys , revelling in their own innocence .. Yet I knew there were certain things they missed . The simple joys that were denied to them by the towering technology that engulfed all alike. The people around refused to drink in the sights opting to capture everything through selfies. In my childhood the air was somewhat pure . 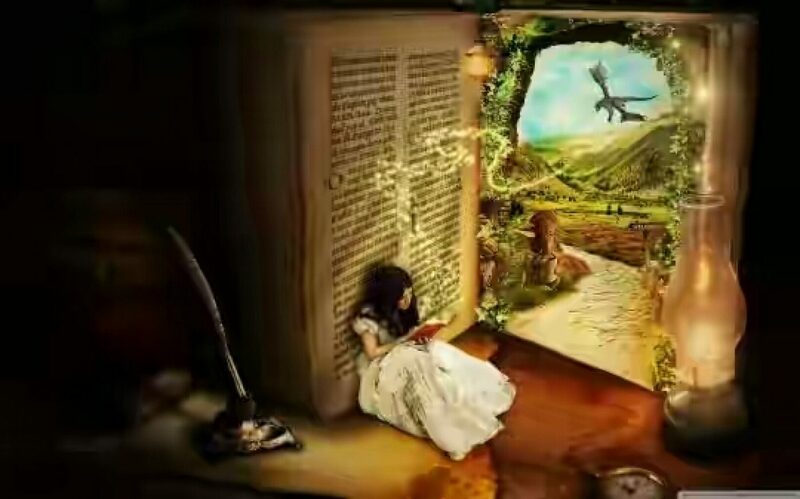 The unadulterated joys that possessed me when my grandmother told me the tales of yore . That was a time when our imagination ruled rather than being forced by animations . Holidays where happy days when we gathered with cousins and friends to play all morning ,when everything felt all right and there was no competition. 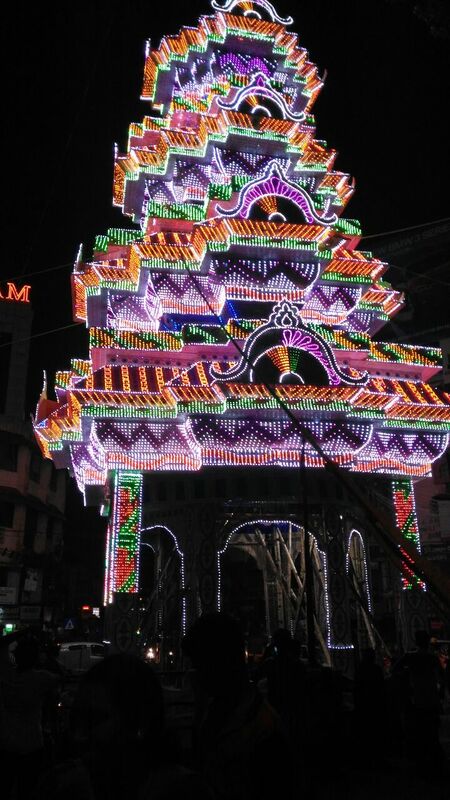 * Pandals are huge structures erected as part of festivals in Kerala. 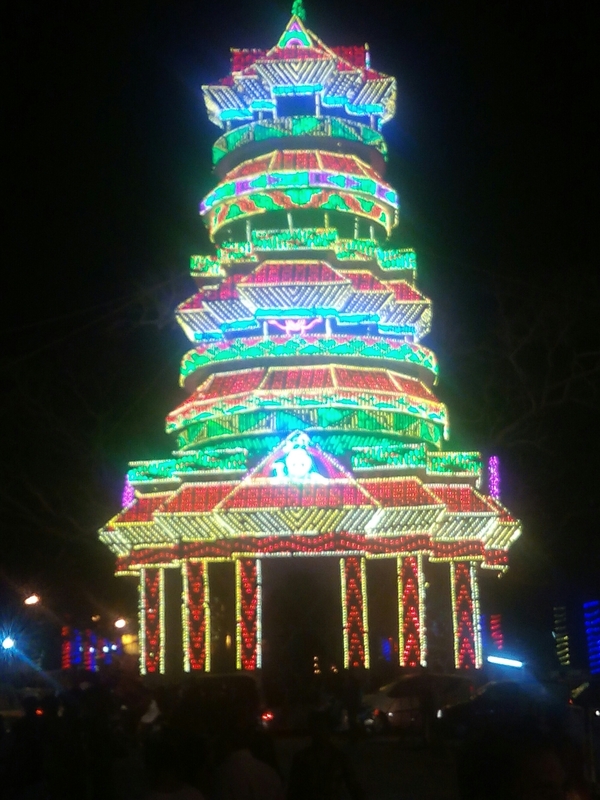 These towering beauties are a sight to behold as they are lighted up at night….with all their finesse and perfection.